Travellers Choice members can now quickly create alluring, content-rich, interactive travel itineraries that are proven to increase sales conversion rates – the result of a new and exclusive arrangement with celebrated software developer Wetu Travel Technology. Wetu’s Itinerary Builder software saves travel agents valuable time by enabling them to easily generate highly-professional itineraries featuring a range of content, including images, maps, videos and virtual tours. Multiple copies of an itinerary can also be created, allowing agents to present clients with variations based on alternative properties, room types or budgets. The itineraries can then be shared with customers via email, websites, Facebook, mobile devices or as printed copies. 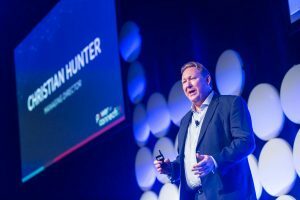 Travellers Choice Managing Director Christian Hunter says all agents require in order to take advantage of the new tool is an internet connection. “This is a practical, no-fuss solution that can within a matter of minutes produce itineraries that are enticing, rich in detail and fully customised with members’ logos, preferred fonts and colours” says Hunter. Wetu founder, Paul de Waal, says the company’s technology addresses two of the major challenges facing today’s travel industry. “It gives Travellers Choice consultants access to top-quality, up-to-date content without the burden of maintenance or management, and provides the means to use and distribute it easily in an engaging and interactive way”. As part of the exclusive arrangement, Wetu will provide Travellers Choice members with ongoing training and live support. Wetu’s Itinerary Builder is the latest addition to the suite of high-impact software solutions helping drive business to Travellers Choice members. These include the email marketing platform TC Mail, and the group’s website solution, Site Builder, which enables agents to offer a customised website (with a unique URL address) supported by centrally-loaded products.